11GPM Fixed rate of 1:100. 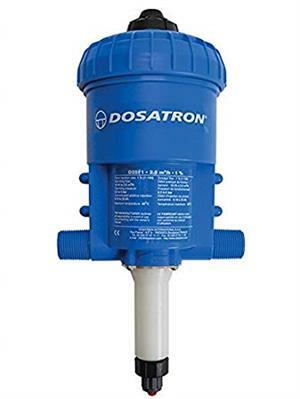 Designed for poor water quality due to sugar, sand, iron or hard water. Easy to install & maintain. Bypass, mounting bracket, suction tube, strainer & weight is included. Filter and check valves sold separately.